Typical human resources interview questions for generalist HR jobs and human resource management positions. Within the HR sector there are a range of different jobs at different levels, however you can prepare for standard interview questions that explore your human resources technical skills and experience. Here we look at the typical human resources interview questions that explore your technical skills and experience. 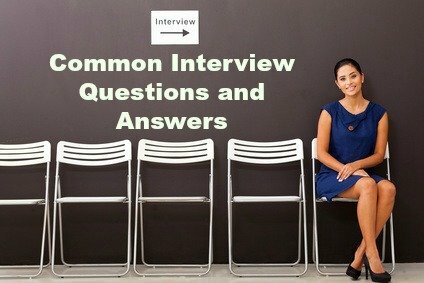 Go to the human resources interview guide to view the behavioral interview questions to expect in the HR job interview. 1. What measures have you introduced to reduce absenteeism/turnover/substance abuse in the workforce? In answering HR interview questions about steps taken to solve a human resources problem focus on introducing constructive interventions rather than taking a punitive approach. Typically successful interventions include evaluating management styles, reviewing working conditions, providing incentives for positive behavior and the development and implementation of a policy that specifically addresses the issue. 2. What essential content do you include in a practical and useful HR policy and procedure? Good HR management demands good policies. Ensure that your interview answer clearly demonstrates your understanding of the difference between policy and procedure. A policy is a formal statement of principle specific to a particular issue that employees must follow while a procedure instructs employees on how to carry out the policy. HR policies should include a clearly stated purpose, a well written policy statement, definitions of the terms used, scope of employees covered by the policy and who is responsible for implementing and monitoring the policy within the organization. The related HR procedure will include easy to follow instructions for carrying out the policy. 3. How have you kept HR policies and procedures current in terms of new legislation and regulations? This explores your willingness and ability to understand relevant new legislation and regulations and to introduce changes accordingly. Focus on the methods you use to stay on top of federal rules and regulations such as attending seminars, subscribing to journals and newsletters, membership of relevant organizations. Select specific legislation such the Americans with Disabilities Act and discuss how you applied it in the workplace through revised HR policy. 4. What are your key considerations when communicating HR policy to the organization? There are certain basic principles of effective organizational communication. These include planning a communication strategy, explaining the policy, how it impacts on the individual employee as well as the organization as a whole, what's in it for the employee, asking for questions and listening closely, clarifying, checking understanding, encouraging feedback. Select a particular example to demonstrate how you applied these principles when communicating new or revised policy to the organization. 5. What employee recruitment, selection and development strategies have you developed or introduced? 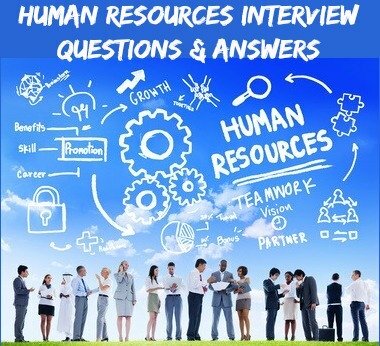 In answering human resources interview questions about development and implementation of HR strategy focus on aligning HR activities with organizational priorities and employee needs. This includes understanding the overall business strategy, conducting a SWOT analysis, determining key employee issues and developing an action plan around these critical issues. 6. What are the main challenges facing Human Resources Management today? Your answer should demonstrate good insight of the current HR priorities. Surveys show that these are the current issues that HR professionals must consider - the increasing importance of getting the most out of existing employees, creating a performance-based culture, the need to identify and develop potential, succession planning, employee placement within the organization, managing talent through change and optimal utilization of technology. 7. What are your strengths as an HR professional? Make your interview answer relevant to the job requirements. Find a complete list of workplace strengths here. You can expect a number of other questions in your human resources interview. These are typical behavioral interview questions and answers for human resources positions.